Cat and kitten adoption fees are reduced to $25 until 13 May. We’re packed to the rafters with cats and kittens in need of new homes! 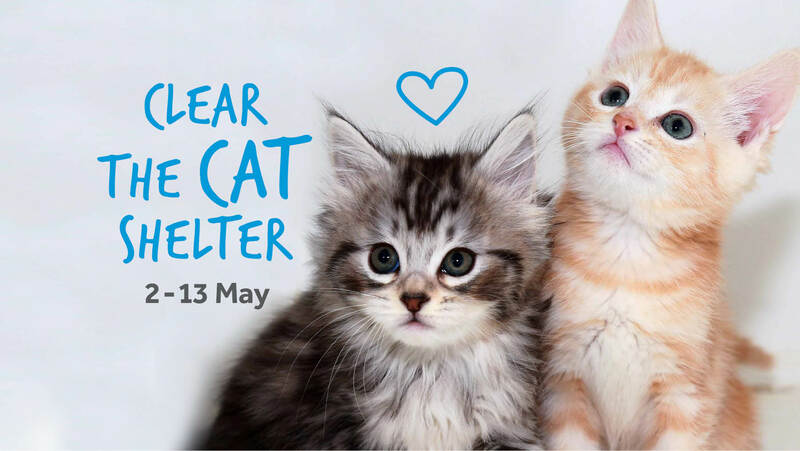 Adoption fees have been reduced to $25 until 13 May, to help our cats and kittens find loving forever homes as soon as possible. Let’s clear the cat shelter and find homes for 180 pets in need! Have you been thinking about getting a new pet? Now’s the time for you to experience the unconditional love of an adopted cat or kitten. New cats and kittens become available for adoption every day. View their profiles here. Our standard adoption process still applies to ensure all pets are matched with suitable homes. Cats and kittens will stay in our adoptions centre for as long as it takes to find them a home, but we’d love for this to happen as soon as possible. Help us clear the cat shelter and find forever homes for 180 cats and kittens! All cats and kittens are desexed, microchipped, vaccinated and up to date with flea and worming treatments, which is all included in the $25 adoption fee.